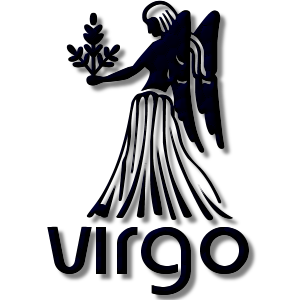 Add a Virgo The Virgin Zodiac stampette to your Facebook and Twitter profile images and show your star sign. In Greek mythology the Virgin Goddess of justice was Astraia. She lived amongst mankind during the Golden Age of antiquity but lawlessness drove her away. Zeus placed her in the sky as the constellation Virgo. Virgo is identified closely with Nike, the goddess of victory, and Nemesis, the goddess of rightful indignation.